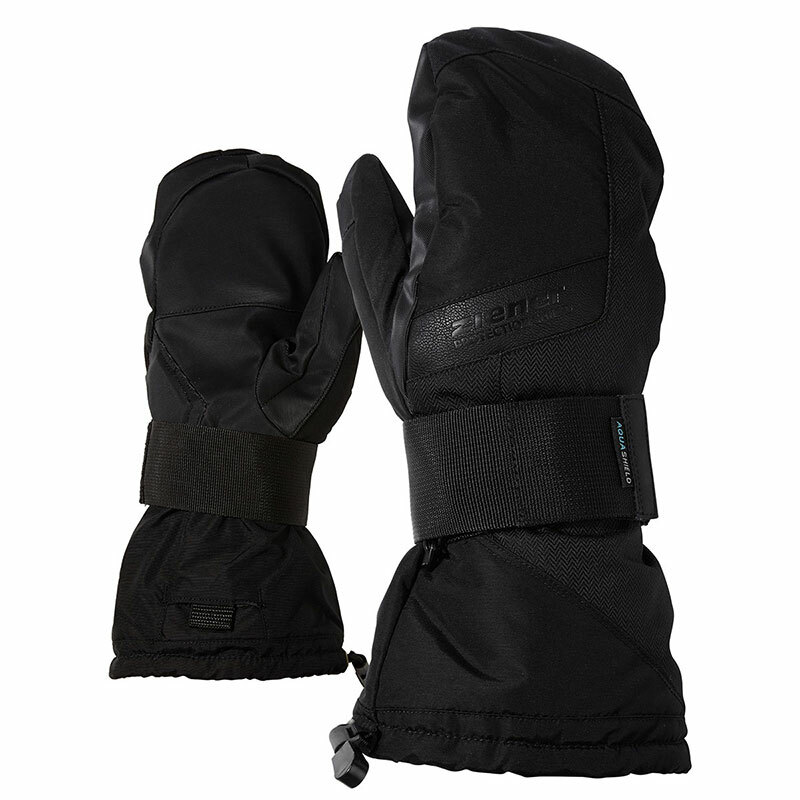 The popular snowboard mittens MITTIS AS® MITTEN have a water- and windproof ZIENER AQUASHIELD® membrane, ensuring optimum climate comfort even in adverse weather. 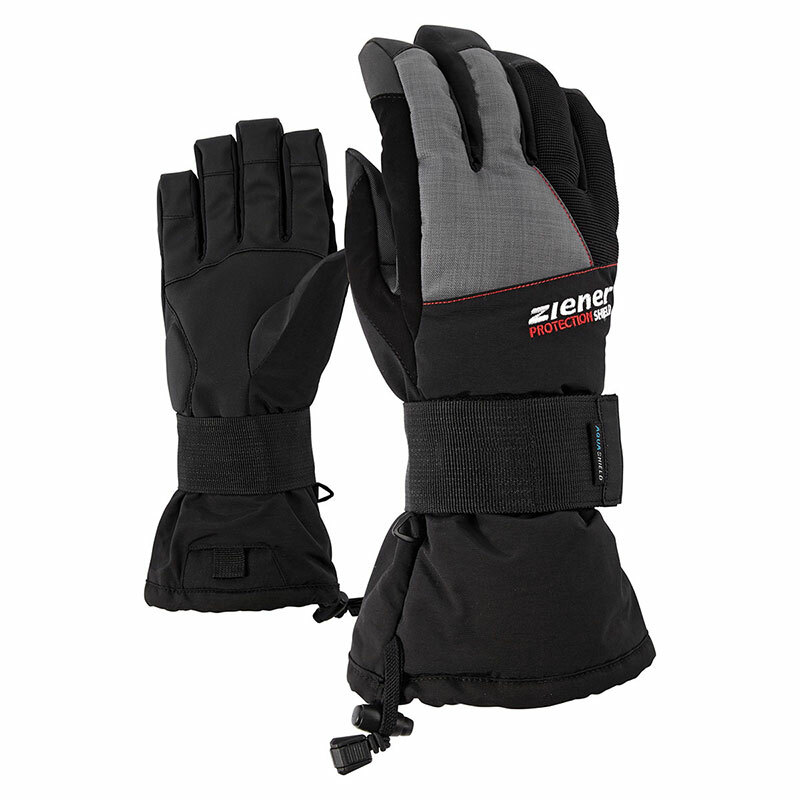 The ergonomic, pre-shaped inner wrist protectors are removable and secured around the wrists with wide webbing. 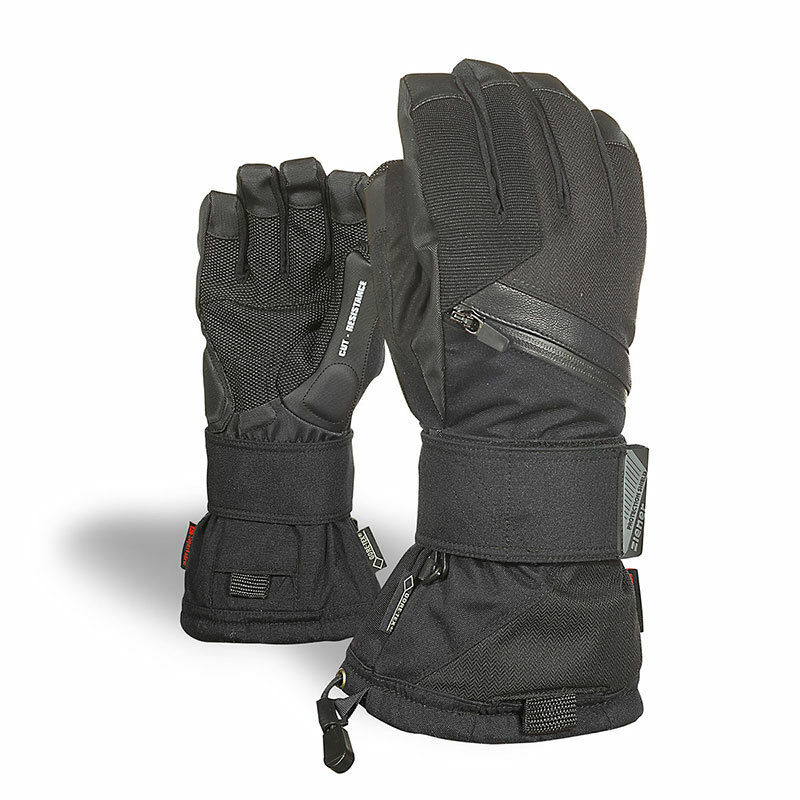 The sturdy Rubbertec palms have additional shock-absorbing padding. 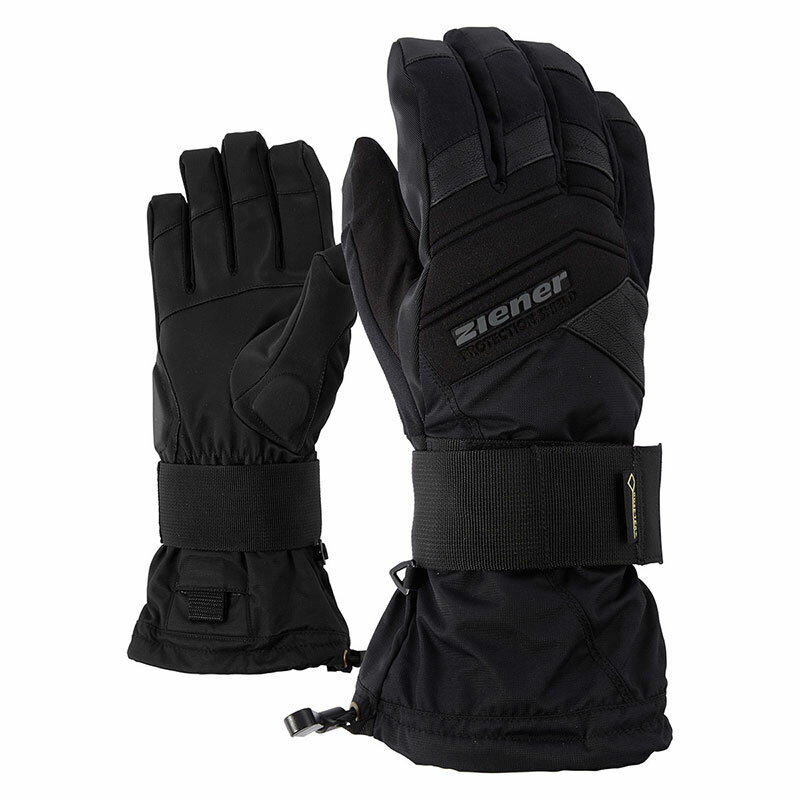 The high cuffs with safety straps and cord-lock fasteners reliably prevent snow from getting in. 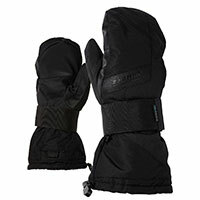 Articles with the a CE mark fulfil the terms of European guideline 89/686/EEC for protective gloves. Integrated protector on the palmside of the glove. The water- and windproof AQUASHIELD® Membrane – ensures a warm & dry climate. The water- and windproof AQUASHIELD® Membrane – ensures a warm & dry climate. 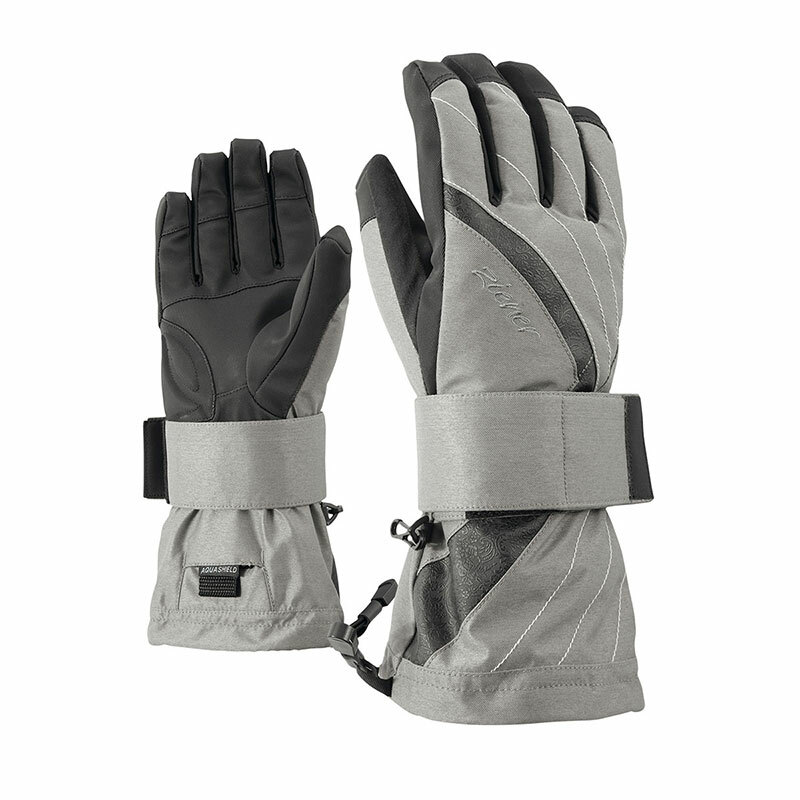 Additional strategically incorporated protectors – protect the hand optimally.